ModestGlamAmor: Designer dreaming or High-street steals for the season of summer festivals? Designer dreaming or High-street steals for the season of summer festivals? Now to all my festival goers!! 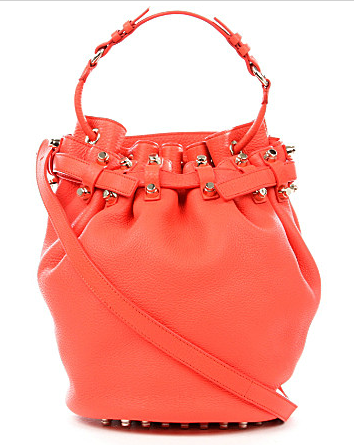 What handbag is most appropriate when attending a jammed packed fun loving festival this summer eh? Now-a-days when attending one of these festivals it’s almost like walking down a grass infested runway out in the open air, with all the fashion-istas in full swing. So here are my favourite handbag picks that will enhance your “oh-so” casual but stylish festival look. This bag is definitely a treat with its supple pebbled leather, great for those summer festivals as the soft leather will mold and move with your body (nothing worse than a ridged bag). The bag has a draw string for security, a long strap for the option for the cross body comfort. And there is also an additional hand strap. The bright splash of Orange is just on trend. 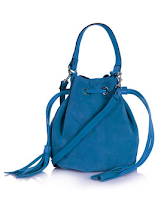 What a steal with its similar shape to the “Diego” bag, comes in various bright suede colours again to add a shade of pop colour to your outfit. As well as loving the bag the price is also handsome at only £28. With it being suede the bag won’t feel stiff, the bag has a long strap to go across your body and a hand strap.